Cool-looking scarf to keep you “Steezin not Freezin”! Our friends at Steez Gear kindly provided us with one of their Tall Scarves to test. We love that it is truly “Tall” at 8 feet long yielding plenty of options on styling it. 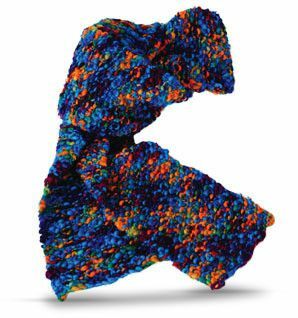 It’s fashioned out of soft merino wool and is hand-knit and hand-dyed, giving it the look of a treasured scarf made by your favorite, talented grandma. It kept us super warm on the slopes and looks just as beautiful out and about town. Perfect to keep you TrailblazerGirls toasty warm this winter!